You may be forgiven for thinking racing is all we do at Trimpley. This isn’t true, but we do push people to get involved in our friendly races because it’s such a great way to improve your sailing. Here we explain about how racing is organised at Trimpley. If you’ve never raced before and would like to start, well there’s a guide for that too. At Trimpley we hold races almost every weekend throughout the year. These get grouped up into race series. Points from each race are totalled up across the series and the sailor with the lowest score at the end wins. We organise our race calendar by having race series each season, starting with the Spring Series. 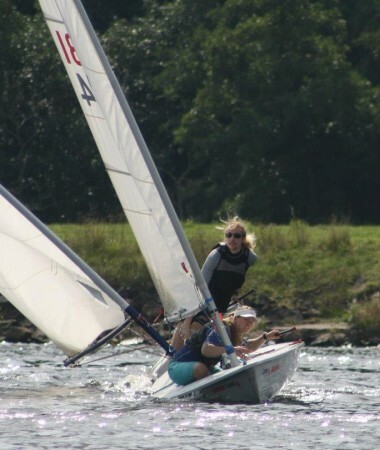 Series racing encourages you to sail regularly. To qualify, sailors must compete in a minimum number of races from the series, but if a sailor competes in more than this minimum they can discard their worst scores and so have a better chance of winning. The key to being successful in series racing is to sail regularly. Throughout the year we hold special events which may be for training, for fun, or a different type of racing. Most of our special events run for just one day and could run alongside normal racing or in place of it; in this case race times may be different to normal. So basically, check the race calendar for full details. In fleet racing boats of the same type compete against each other, with points awarded in the order the boats cross the finish line, with the first boat scoring 1 point, the second scoring 2 points and so on. This most often forms part of the series racing at Trimpley, and can be combined with menagerie racing. 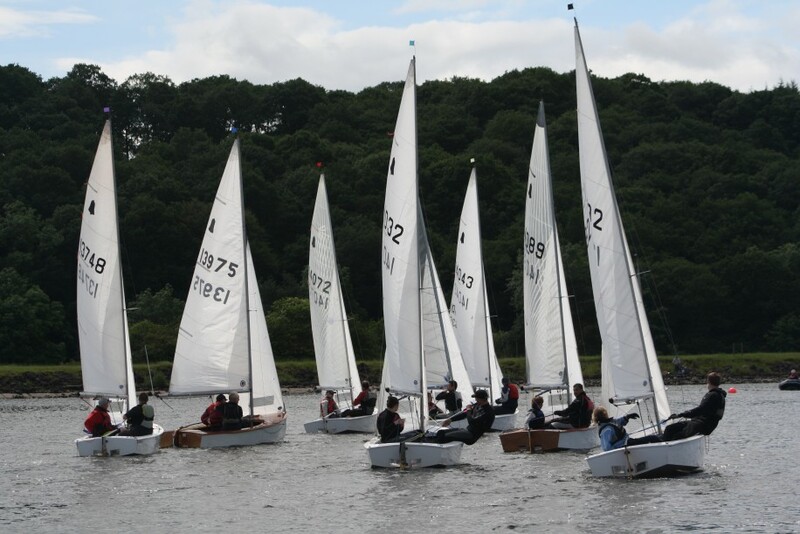 At Trimpley we have fleet racing in GP14s and Lasers. Menagerie racing is like fleet racing, but different types of boats can race against each other. Each boats race time is recorded when they finish and then corrected depending on how fast the boat is byusing the Portsmouth Yardstick (PY) system. This allows different types of boat to compete fairly against each other. We’ve recently introduced menagerie racing alongside our fleet racing at Trimpley. So now you can race (nearly) any type of boat at Trimpley. 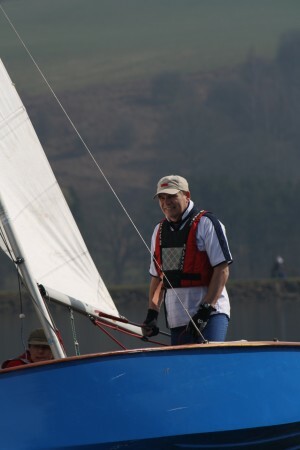 At Trimpley we give our regular racers a handicap that allows newer sailors to compete more fairly and rewards improvement. Each sailor is given a time handicap between 0 (for the best sailors) and 10 minutes (for new sailors) which is then subtracted from the boat’s finishing time. Handicaps are applied alongside the fleet racing. If you start doing well in the handicap series you’ll be rewarded by having your handicap time cut down. In pursuit racing the fastest boats and sailors have to catch up the slower boats. Personal handicaps and the Portsmouth Yardstick system is used to give slower boats and sailors a head start in the race. We run pursuit races throughout the year as special events. Now you know what sort of races we have a Trimpley, the next step is to see how it’s organised. Our Race Calendar details what race series are running throughout the year, all our special events, what type of racing it is, when the races take place and what awards there are. Not only that, but it also lists all training courses and social events scheduled for the year. It’s everything Trimpley.